What Needs To Happen For Joe Mauer To Be A Twin In 2019? There is no question that Joe Mauer is one of the greatest Minnesota Twins to ever put on the uniform, and that he will one day see his number retired along with former Twins greats like Kirby Puckett and Rod Carew. Despite this, Mauer’s future as a player with the Twins after 2018 seems to be in question. Entering 2019, Mauer will be going into his age 36 season with what will at best be a slightly above average bat and good defense. The problem is he is limited to playing first base, and there are plenty of quality bats at first to go around. Additionally, first base is a position that is very limited in the upside a quality defensive player can bring. This will make it very easy for "Falvine" to replace Mauer with a quality player after his contract expires. I am sure most Twins fans, myself included, would like to see Joe Mauer play out the rest of his career in a Twins uniform. So, the question is, what will it take for that to happen? Mauer’s turnaround last season was a big part of the Twins improved level of play. A big reason for his success was his strikeout rate falling to 13.9%, the lowest it has been since 2012. Mauer also had by far his best defensive season since moving to first base. This resulted in a 2.3 fWAR season from the one-time MVP, twice as much as he put up in 2015 and 2016 combined. If Mauer can repeat his success again in 2018, he will still be a viable MLB option a first going into 2019. However, if he shows some regression, and returns to his previous form, it would be tough for Joe to even get an MLB contract next winter. Perhaps the surprise of the Twins offseason was inking Logan Morrison to a one year and $6.5 million contract, with a vesting option for a second year if he reaches 500 plate appearances this season. If this option gets picked up, it will take up one of the two potential spots that Joe Mauer could fill as a member of the 2019 Minnesota Twins. Additionally, bringing back Mauer to team up with Morrison as the first base/DH duo would still leave the Twins with the double lefty problem that currently exists. The front office was willing to make this work given the fact that Morrison is otherwise a steal at $6.5 million. Going into next offseason, there might be a few right-handed hitting options at first that might be more appealing to the Twins. Even though Brent Rooker was drafted as an outfielder and did see roughly 75% of his playing time last season in left, many believe that he will eventually break through with the Twins as either a first baseman or a designated hitter. The biggest reasons for this are his large 6’3” frame profiling better at first along with the crowded young outfield that the Twins already possess. If Rooker continues to tear up minor league pitching, the 23-year-old will fly up through the Twins system and could even push for a spot in 2018. Rooker also brings the element of a right-handed power bat that the Twins will need in 2019, especially if they lose Brian Dozier to free agency. One of the biggest question marks that the Twins need to answer this season is the long-term ability for Miguel Sano to stay at third base. If Sano can somehow play an adequate third base (given both the titanium rod in his leg and the lack of ability he has shown in the past) it would be a near miracle. If Sano shows that he will be unable to stick at third, the most logical move would be to either first base or DH. This would create an even bigger logjam for Mauer to remain with the team given that Sano is under team control through at least the 2021 season. There is no question that the St. Paul native, who has known only one city for his growing up years and entire major league life, would love to finish out his career in Minnesota. In fact, it is hard to think of many players in the history of major league baseball who had more of a reason to take a hometown discount than Joe Mauer. That being said, I am not Joe Mauer, so therefore I can not definitively say whether or not he will be willing to take a hometown discount, and if so how much of one. That will be something that Joe will need to consider before he decides on his future next winter. As great as it would be for Joe Mauer to play out his career in Minnesota, it is hard to see that happening without at least three or four of these things happening. Given that the Twins would love to see Morrison play well enough to earn his option for 2019, and for Rooker to force their hand as soon as possible, it will be a catch-22 for Twins fans who wish for Mauer to stay. Hopefully, if 2018 is Joe’s last with the Twins, it will be because of how Morrison and Rooker play this season, and not because of how he plays. Would he be eligible for a qualifying offer? Can the Twins make him an offer before being a free agent? Multi-year deal allows them to cut his salary more than 10-15%? Or does he have to declare for anything to happen. The bigger question is, what teams would be interested in Joe Mauer in his current state, and what would they pay to have him play (and move)? Perhaps it ultimately comes down to whether Rooker's 2019 potential is greater than Mauer's 2019. I think LoMo and Sano will be fine defensively and a terrific duo in the middle of the lineup. I guess it comes down to which would you rather have: Buxton CF Polanco SS Sano 3B Morrison 1B Rooker DH Rosario LF Garver C Kepler RF Gordon 2B Or, Buxton CF Mauer 1B Poland SS Sano 3B Morrison DH Garver C Rosario LF Kepler RF Gordon 2B My vote is for the former, without question. I suppose you could bring Mauer back to be a bench bat, but, that may be less than ideal as he doesn't hit for any sort of power and hits left handed. In that scenario, whom would he pinch hit for? Morrison? Gordon? Poland? Nope. Nope. Nope. I'm sorry Joe; if Rooker is ready, 2018 is the end of the line for you as a Twin. Joe would be eligible for a qualifying offer, but there is no way the Twins would extend him one at the one-year and $18 million + that it is going to be next year. 1. No other 2.0 WAR 1B is available for $5M. 2. No Moustakas/Frazier bargains for 3B, making it economical to move Sano to 1B, regardless of his skill at third. 3. The Twins don’t want to use the money elsewhere. This might be one of those cases where not everything is about who will provide the most WAR. If Mauer has a terrible year, then I agree with all of the above. But if he has another good year, that guy is getting a deal with the Twins. He is such a known entity for the casual Minnesota Twins fan, that “treating him poorly” would have huge negative ramifications, I think. He has already stated that he wants to play after this year and can’t see himself playing anywhere else. If he doesn’t tank, he’s back. I think he will see the writing on the wall and take a contract that reflects his current value, but he’s back. No doubt in my mind. I'm not ready to thrust Rooker into a contending team yet. At least not to the point where you are tossing Mauer overboard in order to count on Rooker. I believe that all it will take for Joe to come back is for neither side to try take advantage of each other on a one year deal. "How do we shoehorn Joe into our roster?" Plus with his much ballyhooed post concussion issues (that apparently lasted three years) there is plenty of risk.Seems like when we talk about the last several years the concussion thing gets discussed.When we talk about resigning him?I haven't heard anyone bring that up. ​Doesn't this factor into the equation? He'll need to repeat 2017 or even better 2009. Plus need Sano to stay at 3rd, Morrison to be gone, Rooker to be in the Minors, take a hometown discount/play for his production value, and be open to being a part time player. That being said I think Joe would be open to this if they wanted him back as he's played through all the up and the long down and is just now seeing them come back up. While having a front office seemingly more capable of filling the gaps with better pieces to be competitive than the previous. I think we are jumping the gun on Rooker a little here. I don't see him as an opening day starter next season unless he absolutely blows up this year. Even if he has a good year it seems likely that he would spend half the season in Ft Myers and half the season in Chattanooga. If needed he could open 2019 with the Twins but most likely the typical progression would leave him in AAA until needed. Mauer and the 2019 Twins comes down to Sano and 3B for me. I just don't see him as a 3B but if he can continue to play 80 games/season there then there is room for Mauer on the team. If he has a terrible 2018, he will want to retire.If not, and he wants to return he will. The Twins front office has shown that it is not sentimental - ask Dozier - unless it is a front off cheer leading job - Cuddyer, Hunter, etc - so Joe will stay if they see him as a vital cog.I love the idea of Rooker forcing his way to mlb because that represents the future.It is a disappointing ending for a career that was a guaranteed HOF track before the concussion.Good luck Joe - have a great season. If Sano staying at 3B is a concern, we have more reasons for concern there - physically I can guarantee that metal parts do not make you bionic (personal experience) and he has some big challenges (maybe big was the wrong word there). He also has maturity issues off the field.I am confused by what is happening and cannot imagine the commissioner making a stand this late in the spring. The FO is setting a path that is fascinating and I cannot project their moves.They could trade Sano, they could convince Mauer to go to 3B.They could trade Mauer and convince him that a nice warm environment would be good for his aging Minnesota body. The real recipe for fans is to enjoy 2018 with Mauer and all the pieces on hand and know that Dozier, Mauer, Romero, Rooker, Sano, Pineda, Santana will provide a lot of fodder for next years TD commentators and fans. All Mauer has to do is show the willingness to play for him to return in 2019. It doesn't matter to me if he's a starter or bench bat. As scottz said, Mauer has been the most known entity for casual Twins fans. I'm going to appreciate his loyalty to the Twins for 17 years, and being the most known "face of the organization" over the last 14 MLB seasons. It's going to be a long time until we see another player stick in this organization for 17 years. That is a rather long list of things that need to happen.I think it's up to Joe if he stays.He may need to become more of a part-time 1B, part-time DH and pinch hitter.If he would accept that role and much smaller salary that he surely would be offered, he stays. I think this article and a lot of the early comments are on point. It was great to see Joe have a renaissance season, but he's still a replaceable commodity, especially if this shift in the free agent market is going to continue. His OBP and defense (still getting over how badly he was robbed in the Gold Glove voting), make Joe particularly valuable to this team, but seeing Logan Morrison have to settle for the deal he did has to be an eye opener. Mauer is a franchise icon, will be in the Twins Hall of Fame and there will probably be a No. 7 gate one day, but I don't see any reason the front office should address his future until next offseason. So many of the other pieces influence Mauer's future/fit on this team. I hope enough of those boxes are checked that we see him back in 2019, but the folks in charge have every incentive to see how things play out. I'm going to appreciate his loyalty to the Twins for 17 years, and being the most known "face of the organization" over the last 14 MLB seasons. I'm a huge Mauer apologist, yelling at people who booed him during the lean years, but c'mon...Loyalty at $184m? "Loyalty would've been Joe taking $15m/year for 8 years, vs $23m.That was certainly no "hometown discount". Again, I say that as a fan of Joe, and think, if he has a good 2018, we bring him back, but only for about $6m.THAT would be loyalty. He needs to repeat 2017 to have a shot at coming back, I think. second real factor is the dollar amounts. If he's willing to play on a 2/$12M deal or something like that, I think the Twins find room for him if he can still produce at least at a 2017 level, regardless of what Morrison does, or Sano's ability to stick at 3B. If he wants $10-15M...then he'll have to find it elsewhere (which he won't, I suspect, even if he repeats 2017 production). If the production slips back again to 2016 or (gah) 2015 levels, the Twins will move on. Frankly, I suspect if Joe has a season anywhere like 2014-2016 he'll strongly consider retiring. He strikes me as the sort of guy who won't stick around if he can't produce. I think the Morrison signing was the FO's way to hedge on Mauer. He might be back but if I had to bet on it today, I think Morrison is our starting first baseman next year and Mauer is out. Rooker has to move slowly. Which I think is likely. Joe has to be at least as good as last year, which still saw him as a below median 1B, but not by a lot. I think this is fifty fifty. Joe has to take a huge pay cut. I think this is likely. No right handed DH or first baseman is available that is clearly better. Very likely. Sano can stay at third. Very likely. By my math, that makes it around forty percent. If Morrison is a legit 30 homer guy, the Twins will pick up his option. Next offseason, it's likely that things return to normal and guys like Morrison are $10-12m players on a one year contract. You can move that guy for something in trade if need be. How is deciding to move on from Mauer "treating him poorly"? Same reason that MN reporters don't ask him tough questions in relation to production. They only ask, "How are you feeling, Joe?" When it applies to Joe Mauer, there is another variable that everyone must consider... his FEELINGS. My gut tells me Joe would be willing to come back with limited role...almost regardless of what his results are this year.A lot of currently unknown variables regarding whether that would make sense for the 2019 roster. It won't be the end of the world if he ends his career elsewhere.There are two statues at Target field of guys that didn't end their career with the Twins. If he has a year like last year the Twins might offer 2 yrs at $7-8M per year. If not he'll retire. I can't see him playing anywhere else for any price. I think some forget how much money is in the game and how little 7-8M a year gets you most of the time in regards to veteran FAs.Mauer was worth over 16M last year.If he has another year like last year with the BA/OBP and defense, he should be able to get more than that. But we'll see cause he'll be at least as good this year, and probably better. 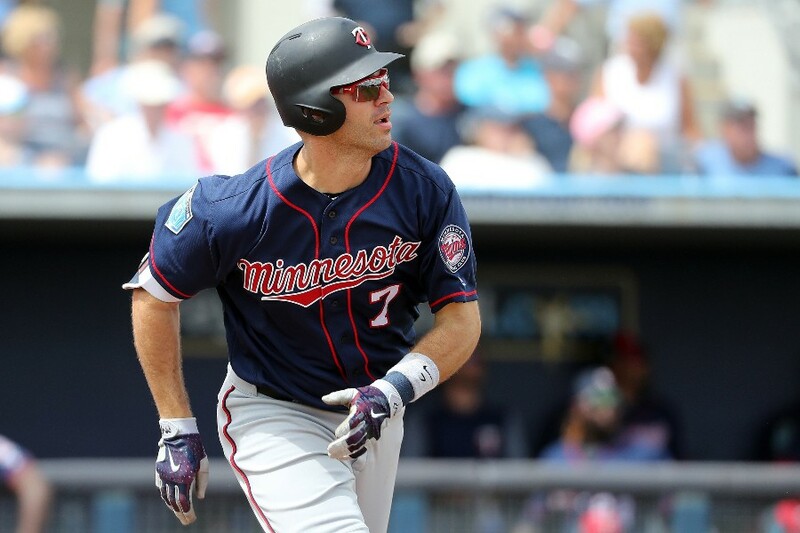 → Article: What Needs To Happen For Joe Mauer To Be A Twin In 2019?